Have recorded some MXF files with one of above listed camcorder and wish to upload and share your great footage with people around the world on popular video sharing sites like YouTube, Facebook, Vimeo. Bit rate: variable bit rate, no bit rate limit required. Frame rate: content should be encoded and uploaded in the same frame rate it was recorded. Common frame rates include: 24, 25, 30, 48, 50, 60 frames per second (other frames are also acceptable). Frame rate: usually 29.97, but 24 and 25 are accepted as well. From above listed information, we can see that only YouTube supports to stream 4K video files, but it only supports 4K video at 30fps, if your MXF video are recorded at 4K/60fps, the contents will be downscaled and streamed in 1080p. Therefore, it would be better for you to compress 4K to 1080p so that you can upload video at any bit rate as you like. To get YouTube/Facebook/Vimeo best uploading formats and profile settings, you can make that with our Powerful 4K Video Conversion tool - Pavtube Video Converter for Windows/Mac which can comprehensively transcode Sony/Canon 4K MXF files to YouTube/Vimeo/Facebook favorable codec, bit rate, frame rate, aspect ratio, etc listed above. Change video resolution to a suitable file size. 640 x 480 is more preferable by YouTube. Besides 4k MXF, the program also helps to convert 4K XAVC/XAVC S, 4K H.265/HEVC, 4K Prores, etc for sharing on YouTube, Facebook, Vimeo. How to Upload and Share Sony/Canon 4K MXF on YouTube/Vimeo/Facebook? 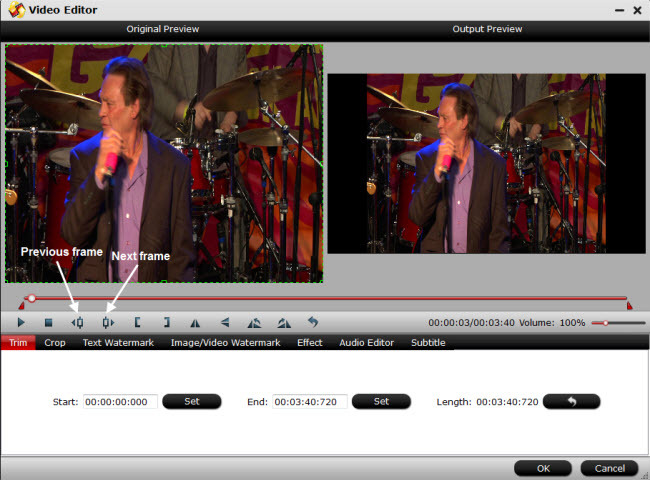 Step 1: Load MXF file to the program. 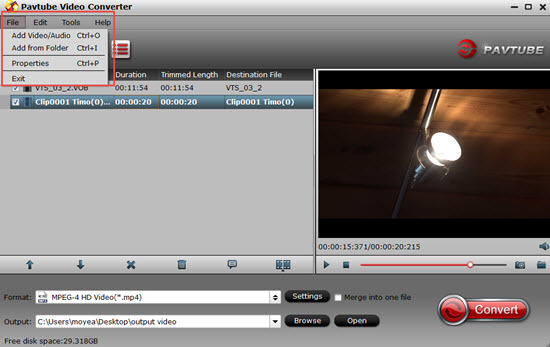 Start the program on your computer, click "File" menu and select "Add Video/Audio" or "Add from folder" to import MXF file to the application. 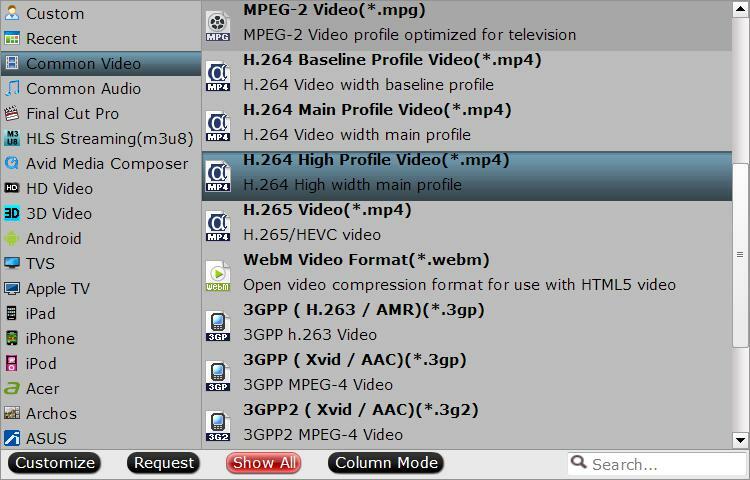 Click "Format" bar, from its drop-down options, choose YouTube best compatible uploading format from "Common VIdeo" > "H.264 High Profile Video(*.mp4)". 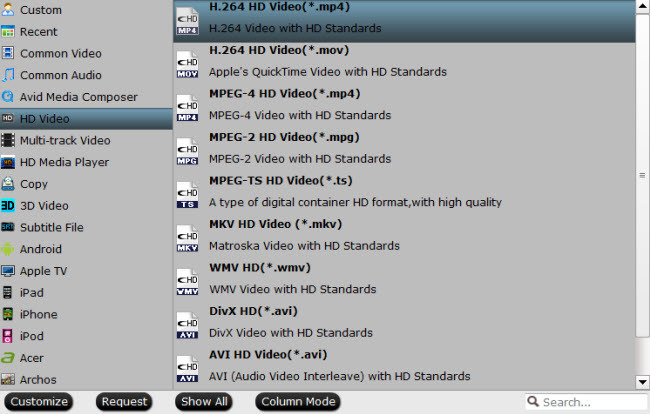 As for Facebook or Vimeo, it is ideal to output "H.264 HD Video(*.mp4)" under "HD Video" main category. 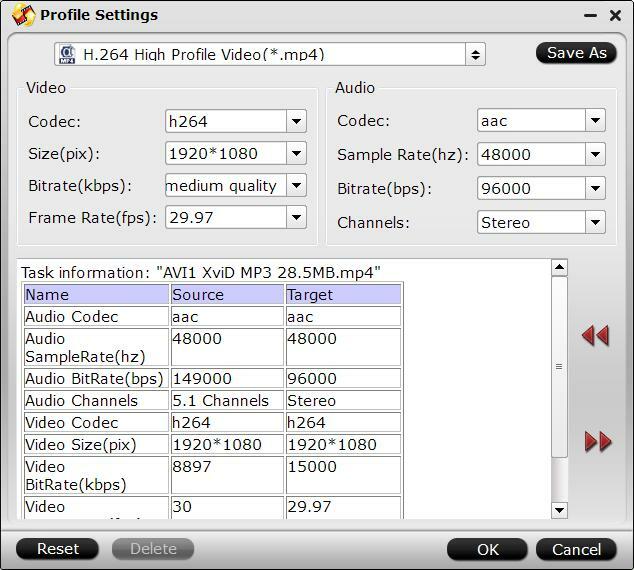 Click "Hit "Settings" to open the "Profile Settings" window, here you can adjust the output video codec, resolution, bit rate, frame rate and audio codec, bit rate, sample rate and channels to let them fit them YouTube/Facebook/Vimeo. Start 4K MXF video to YouTube/Facebook/Vimeo best format conversion by hitting the right bottom convert button, when the conversion is over, you will have no limitation to upload and share 4K MXF videos on YouTube/Facebook/Vimeo.